Tracey Snelling - Gold Teeth, Homeboys & Girls Mkt. Gold Teeth, Homeboys & Girls Mkt. wood, metal, lcd screen, media player, speakers, images, fake concrete. 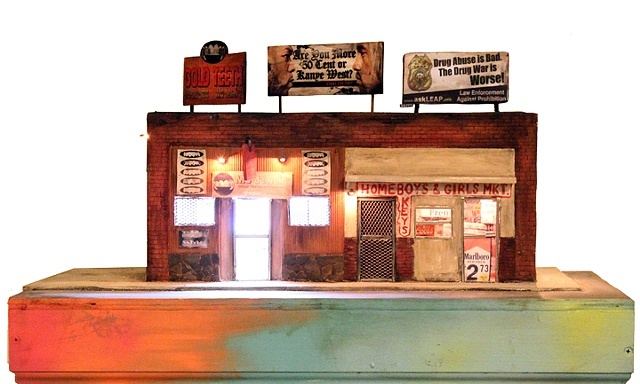 This sculpture is based on businesses found in Oakland, California.